Denmark has always been a cycling country – thousands upon thousands of people commute to work on their bikes everyday and Denmark is always mentioned as a pioneer country in the field of bicycling. Nonetheless, most people are these days riding around on bicycles manufactured in various countries in the Far East, which I think is a bit sad considering the rich (and important!) bicycle heritage of our small country. I hope this doesn't come off, as being the usual pathetic nonsense cliché of “things aren't as good, as they were in the good old days”, as there is still a lot of quality bikes being manufactured in other parts of the world. Instead I would rather use this post to tell a little story about a Danish bicycle manufacturer. I can't deny that there will be a pinch of romanticizing and nostalgia, though. Nordisk Cyclefabrik A/S (notice the different spelling and even pronunciation) was probably established in 1895 by one H.P. Hansen. I'm not quite sure about the last part, as the former Danish time trial world champion Henry-Peter Hansen, who later became affiliated with the company, wasn't born before 1902. So either they shared the name or there has been some misunderstandings over the years. I invite you to decide for yourself. After moving the factory around Sjælland the first few years, the manufacturing was moved to the free port of Copenhagen. 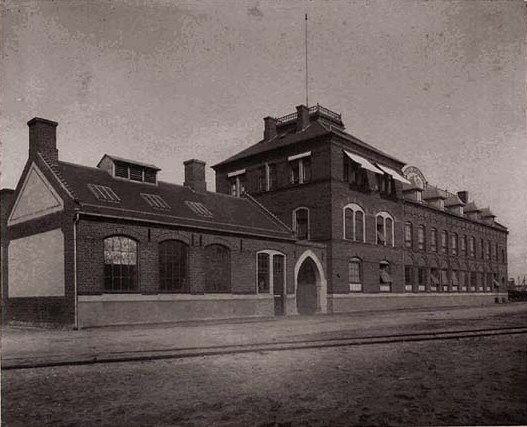 The free port was a place filled with different factories and a few other bicycle companies also had factories there. What was different about Nordisk Cyclefabrik was the bicycle they made, that didn't have any chain like most other bicycles did. Rather they made a bike that was shaft-driven (“kardantræk” in Danish) with the name “La Danoise”. 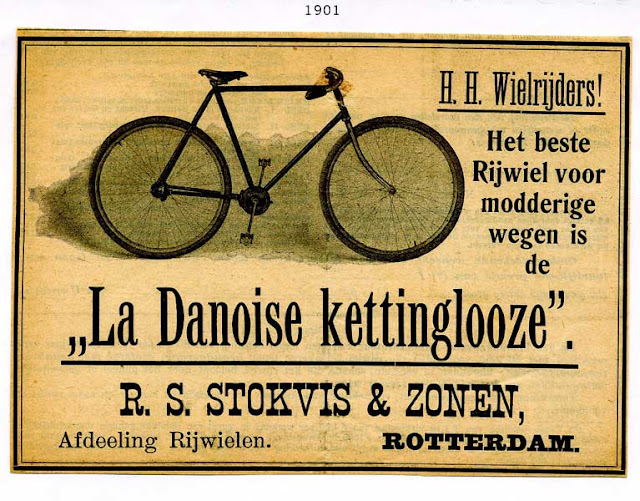 The type of bike became quite popular at the time and was even exported to other countries; even the Netherlands. Of course they also made normal chain-driven bikes and around the 1930's they introduced the Danish people to the Swedish Crescent, that still exists today. 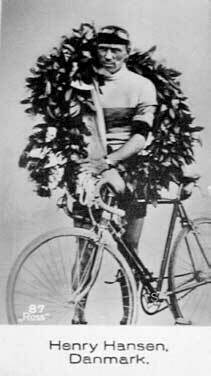 In these years the factory also made a bike, that is still known today as the “sofacykel”. It was a bike with a complete seat rather than just a saddle and the positioning of the rider was much more laid back; not far from the cruisers seen today. I'm not sure, whether or not it was that big a success though. It was meant to be more comfortable, but it turned out to be a quite awkward position to ride in. 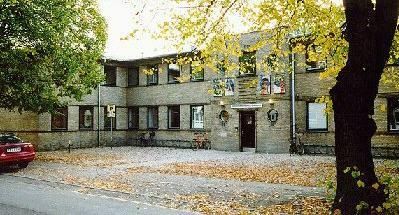 In 1933, the company moved to Vanløse west of Copenhagen, where Henry-Peter Hansen had built a factory in a functionalist style typical of the period. 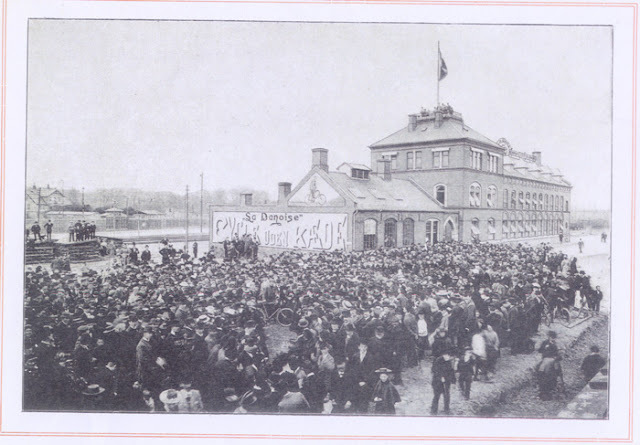 From this period it is quite hard to find information about the factory and what happened. What I do know is that in the 1950's the factory was eventually sold to a Swedish company called Nymanbolagen, that already produced brands like the aforementioned Crescent. The old factory building in Vanløse was sold to the government in 1969 and it now houses a school of education, but what happened between these years I haven't been able to stumble upon anywhere. I hope this little story will be of interest to some people and that we some day can see bicycles being manufactured for the people in Denmark again. Of course there are still Danish bicycle manufacturers, but to my knowledge it is mostly expensive, custom-built luxury bikes like Sögreni and Cykelmageren and cargo bikes like the Christiania bike and Nihola. 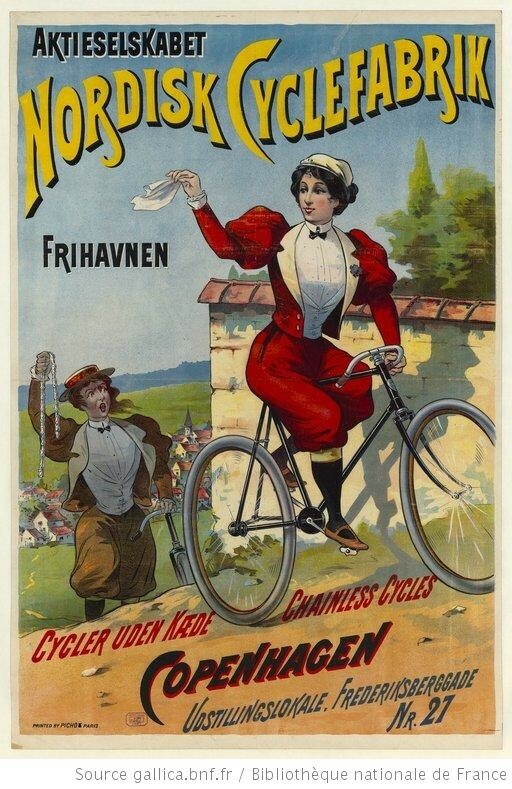 I would love to see everyday bikes being manufactured in Denmark again and not just assembled.